IC&RC, the world leader in the credentialing of addiction-related professionals, is in the process of updating its Job Analysis (JA) for its Certified Clinical Supervisor (CCS) credential. A JA study is the methodical process IC&RC uses to determine elements of practice and knowledge to assess as part of its certification examinations. It clearly delineates the role of a Clinical Supervisor and the knowledge, skills, and tasks that are necessary to demonstrate competence. The JA will then serve as the content outline for IC&RC’s Clinical Supervisor Examination. Respondents should be currently working as a CS and rate each task importance based on an entry level CS as described above. Respondents do not need to hold a Clinical Supervisor certification or license to participate but should meet or surpass the above-mentioned requirements. If you know other Clinical Supervisors currently working in the field, please forward them the link to this survey so they may have an opportunity to provide their feedback. The survey will be open from November 21-December 23, 2016. As a thank you for participation, all survey respondents will receive 1 continuing education unit credit for the renewal of their CCS credential with an IC&RC member board. In addition, all participants will be entered into a drawing for one of three (3) $50.00 Visa gift cards. The first drawing will be made after the first two weeks of the survey being live and will be made on Friday, December 2nd. The remaining two gift cards will be awarded at the end of the survey administration on December 23rd. The survey will be open from November 16-December 23, 2016. Click the next button and Log in as a “new user.” You will be provided with a unique access code and will be automatically logged into the survey. Write down your access code for logging-in at a later time/date. Follow the directions on each page of the survey when prompted. Use the “Previous” and “Next” buttons located at the bottom of each page to navigate within the survey; using the back and forward buttons in the browser will result in data not saving correctly. For your convenience, the survey system is designed to allow you to exit the survey and return later. Your responses will be saved and you may return at any time within the survey administration period; you will still need to navigate to the page where you last stopped. You will also be required to provide your unique access code in the “Returning Users” box. If you have any technical problems associated with taking the survey, please contact Schroeder Measurement Technologies (SMT) at (800) 556-0484 extension 2104 from 8:00 AM to 4:30 PM (EST), Monday - Friday, or by email at jceleste@smttest.com. Candidate Preparing for IC&RC's ADC examination should note that starting in March of 2016, the ADC examination will have questions with either three (3) or four (4) choices. All the questions on the examination are multiple choice with either three (3) or four (4) choices. There is only one correct or best answer for each question. We wish all candidates the best of luck! The conference will be held September 13-15, 2016 at the Buffalo Niagra Convention Center in downtown Buffalo, New York. The conference is 2.5 days, complete with keynotes, breakouts, and networking opportunities. The conference theme for 2016 is Advancing a Prevention Agenda in an Era of Health Systems Reform. More information can be found on the conference website at http://www.npnconference.org/travel/. IC&RC, the world leader in addiction-related credentialing, is accepting applications for Subject Matter Experts (SMEs) for its Criminal Justice Addictions Professional (CCJP) program. CCJP SMEs are addiction counselors working within the realm of the criminal justice system for at least two or more years. Selected SMEs will be invited to participate in the updating of IC&RC’s CCJP Job Analysis (JA). A JA study is the methodical process of determining what elements of practice and knowledge are important to assess as part of a certification examination. It is the process that directly links an examination score to a specific job. JAs also ensure that examinations are valid, reliable, and legally defensible. To stay relevant to current trends and practices, a JA must be updated every five to seven years. As part of the JA study, SMEs will participate in a focus group with IC&RC to delineate the knowledge, skills, and abilities needed for competent provision of substance use disorder services within the criminal justice system. Participation will include a series of webinars with a final cumulative live meeting. Any interested professional is asked to complete the Subject Matter Expert Application found at this link. A resume or CV must accompany the application and should be sent to Rachel Witmer, Assistant Director, at Rachel@internationalcredentialing.org. Applications submitted without a resume or CV will not be considered. Any other supporting documentation is welcome. Any questions may be directed to Rachel Witmer at Rachel@internationalcredentialing.org. New York, NY, September 2, 2015—Vendome Healthcare’s Mental Health & Addiction Community announces its partnership with IC&RC for its national, regional, and local live events in 2016. Vendome Healthcare, publishers of Addiction Professional and Behavioral Healthcare, and producers of the National Conference on Addiction Disorders (NCAD), The Addiction Professional Summit, The Additional Professional Panel Series, the newly acquired Ben Franklin Institute’s Summits for Clinical Excellence, and the new Treatment Center Investment & Valuation Retreat, have announced a partnership with the International Certification & Reciprocity Consortium (IC&RC), the world’s leading prevention, substance use treatment, and recovery credentialing organization, and producers of the IC&RC Annual Training Conference. The scheduled 2016 events will feature combined programs that include both the traditional event content as well as the content from the Annual IC&RC Training Conference, enabling both parties to continue to broaden their reach in the mental health and addiction community’s continuing education space. This partnership will further expand the Vendome Healthcare’s educational curriculum for the professional development and ethical responsibilities of treatment professionals as well as provide training on strategies for the prevention, treatment and recovery of those with co-occurring mental health and substance use conditions. IC&RC will once again sponsor the National Conference on Addiction Disorders (NCAD) at the Sheraton Hotel in Denver, CO on August 18-21, 2016. The purpose of the National Prevention Network (NPN) Conference is to highlight the latest research in the substance abuse prevention field. It provides a forum for prevention professionals, coalition leaders, researchers, and federal partners to share research, best practices and promising evaluation results for the purpose of integrating research into prevention practice. The National Prevention Network conference will be held November 17-19, 2015 at the Sheraton Seattle, 1400 Sixth Avenue, Seattle, Washington 98101. The conference is 2.5 days, complete with keynotes, breakouts, networking opportunities and a reception. The conference will cover hot topics in the substance abuse prevention fields that include: Alcohol, Marijuana, Opioids and Prescription Drug Abuse, Workforce Development, and Substance Abuse Prevention and Collaboration with Related Fields. For more information and to register for the conference visit www.npnconference.org. IC&RC is pleased to announce the completion of its updated Advanced Alcohol and Drug Counselor (AADC) Job Analysis (JA). A JA is the methodical process of determining what elements of practice and knowledge are important to assess as part of a certification examination and serves as the blueprint for the examination. The updated Advanced Alcohol and Drug Counselor Job Analysis will be used to develop a new examination to be administered by all IC&RC Member Boards. The first administration date for the updated examination will be Monday, May 11, 2015. All candidates taking the AADC examination on or after May 11th will be taking the updated examination. The full exam content outline, updated reference list, and recommended study guides can be found here. IC&RC would like to extend its congratulations to the Hong Kong Association of Professionals Specializing in Addiction Counseling Limited for establishing the China Board under the Hong Kong Board. 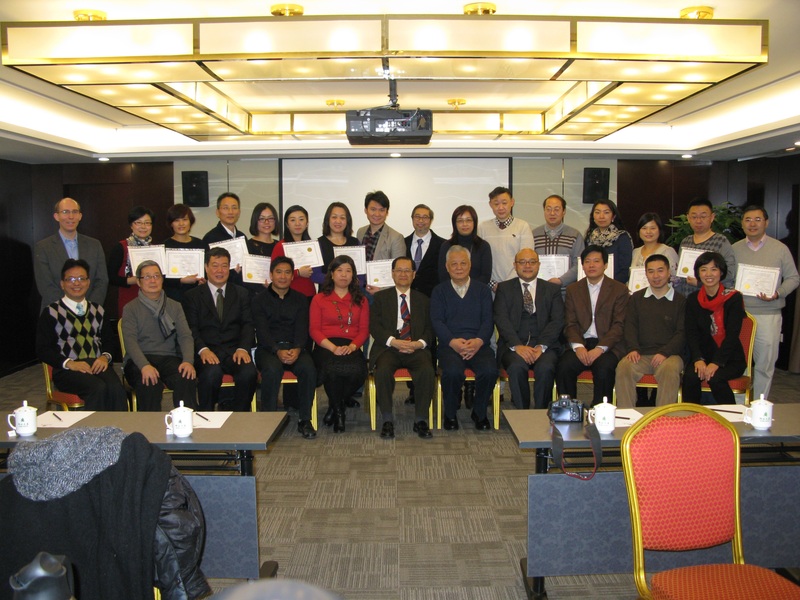 The Hong Kong Board is a full member credentialing board in IC&RC. The Hong Kong Board is among 74 worldwide credentialing and licensing boards that are members of IC&RC who currently certify nearly 50,000 prevention, addiction treatment, and recovery professionals. IC&RC is grateful to all those individuals associated with the Hong Kong Board and the China Board for this profound accomplishment which highlights and recognizes the need for and dedication of addiction professionals in your remarkable country. IC&RC could not be more proud of your achievement and we honor all of you for your amazing work. Best wishes and much congratulations from the IC&RC Member Boards, Board of Directors, and Staff. IC&RC, the world leader in addiction-related credentialing, is pleased to announce the completion of its updated Alcohol and Drug Counselor (ADC) examination. The examination will be administered by all IC&RC Member Boards for the first time on February 16, 2015. The updated examination will be aligned with 2013 IC&RC ADC Job Analysis. Changes on the examination include combining the previous eight domains into four essential domains and inclusion of DSM-5 diagnostic criteria. The full exam content outline and updated reference list can be found here. Candidates preparing to take the ADC examination on or after February 16, 2015 can find an updated Candidate Guide and study guide information on the Examination Prep page of IC&RC’s website. Direct any questions you may have regarding these changes to Rachel Witmer, Assistant Director at Rachel@internationalcredentialing.org.